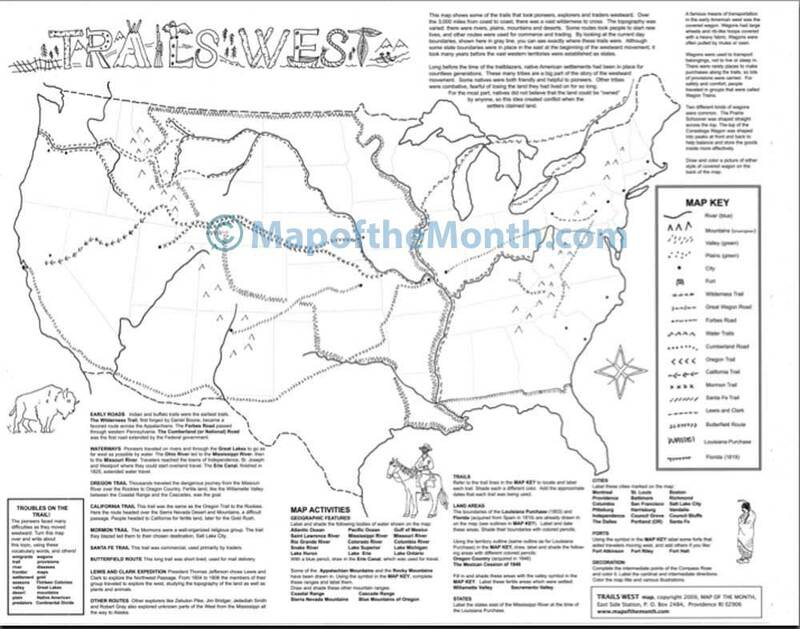 This TRAILS WEST map depicts the roads and trails of the American Westward Movement. 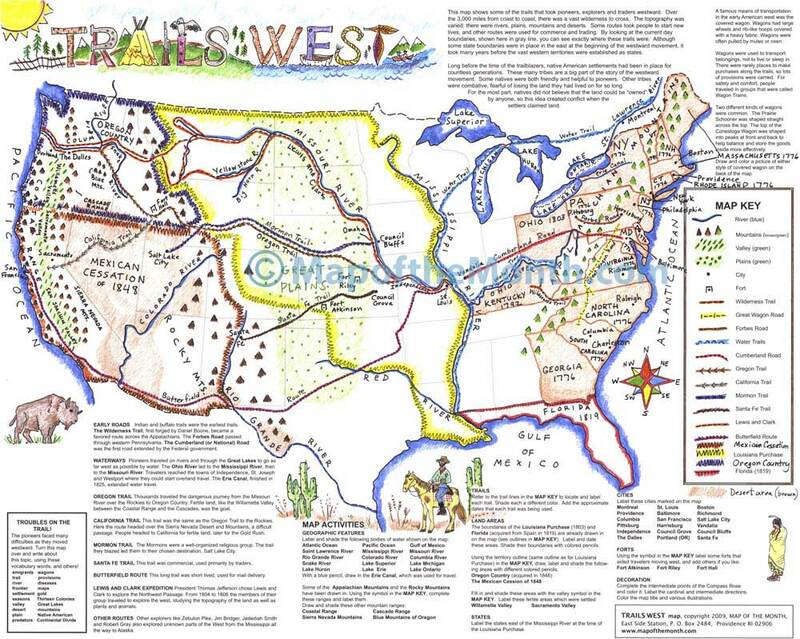 This TRAILS WEST map is just one in our popular series of history maps. 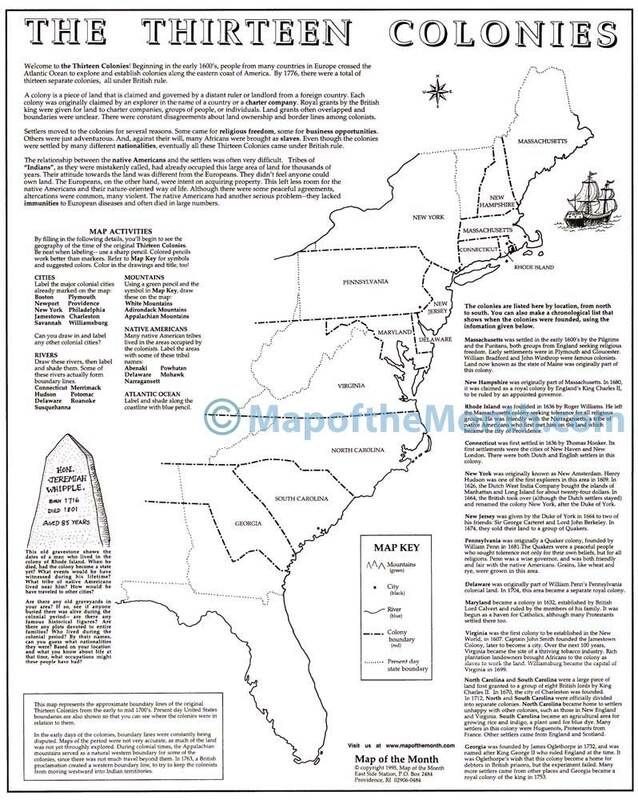 This is a large USA map, with the current day states shown in a lighter grey tone so students can see what areas were covered by pioneers. All of the most important trails are shown. 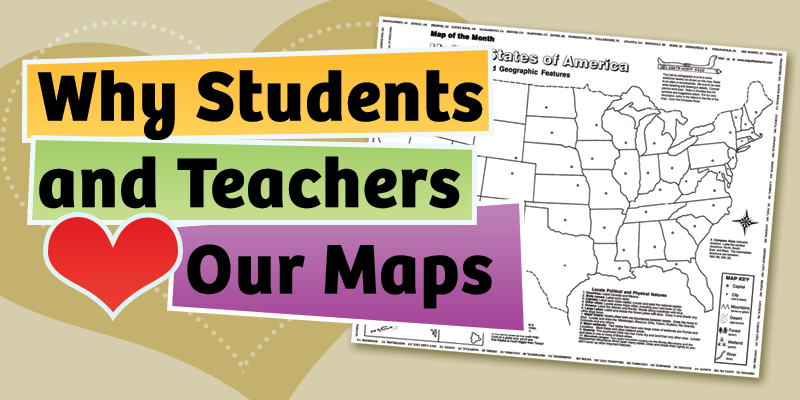 Students use a detailed Map Key. 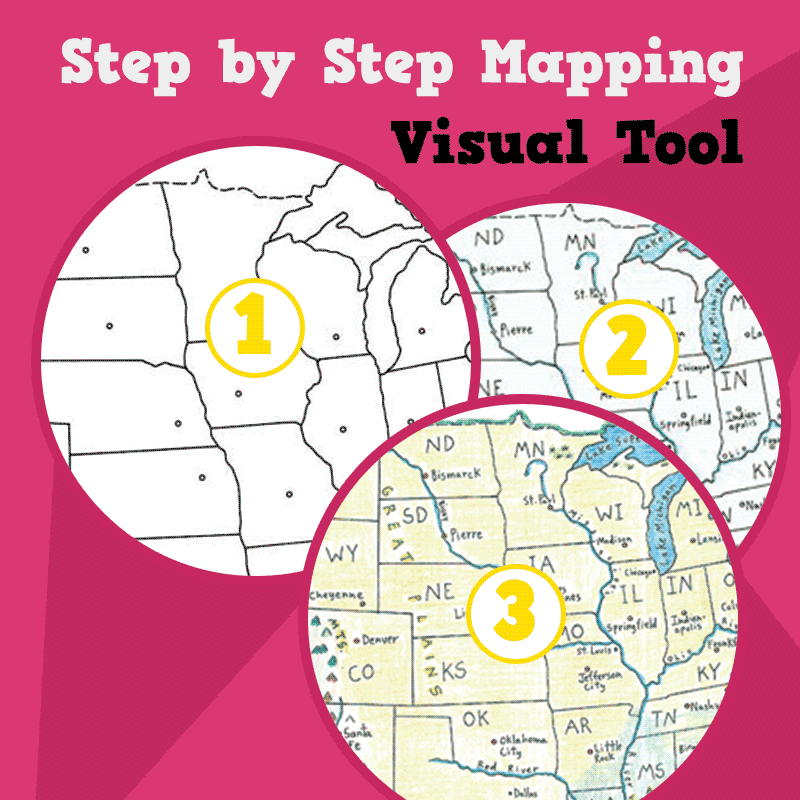 The map text describes the major trails, and there are drawing and writing activities. Student complete mountain ranges, label rivers, bodies of water,deserts, valleys, and the Louisiana Purchase (outline is drawn in). Students add the Mexican Cessation and Oregon Country. There are illustrations and Compass Rose. 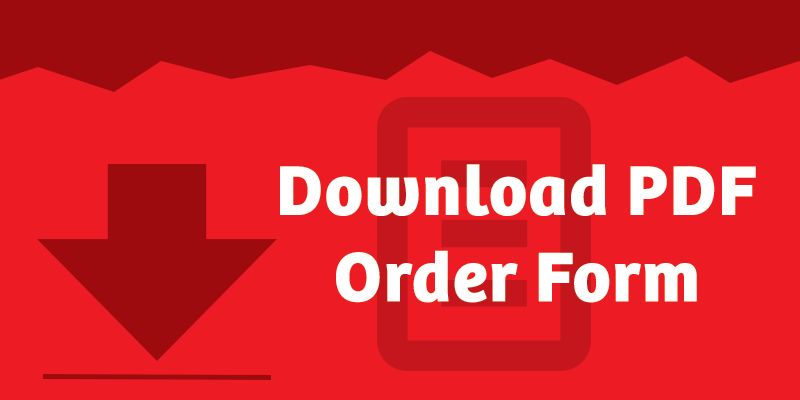 Be the first to review “Trails of American West Map” Click here to cancel reply.